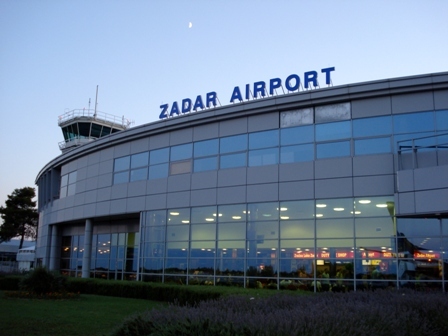 Allow us to offer you a comfortable and stress free transfer from and to Zadar and Split. We pride ourselves on airport service provided to our clients to make their trips more productive and enjoyable. Our chauffeurs are trained to maintain intimate familiarity with the layout, logistical details and surrounding traffic patterns of the airports they serve. Additionally, they remain in constant cell phone contact – ensuring that your vehicle is where you need it, when you need it. We monitor all commercial flights-whether your flight is two hours delayed or 30 minutes early, you can count on our professionals to be there when you arrive. We will check your flight arrival time every 15 minutes. Your driver will meet you inside the terminal. Our personnel will carry your luggage to your limousine. Our personnel will know the trip destination in advance and will not ask you for directions. An advanced reservation will be your guarantee there will be a vehicle for you at the time you request. We will follow any delays your flight has in order to be there at arrival time. No need to queue for taxis or drag your bags around searching for public transport. Pre-arranged fixed price transfer (no additional cost). Option for transfer big cargo objects using trailer. Book your airport transfer online or contact us for information. A comfortable ride awaits you.